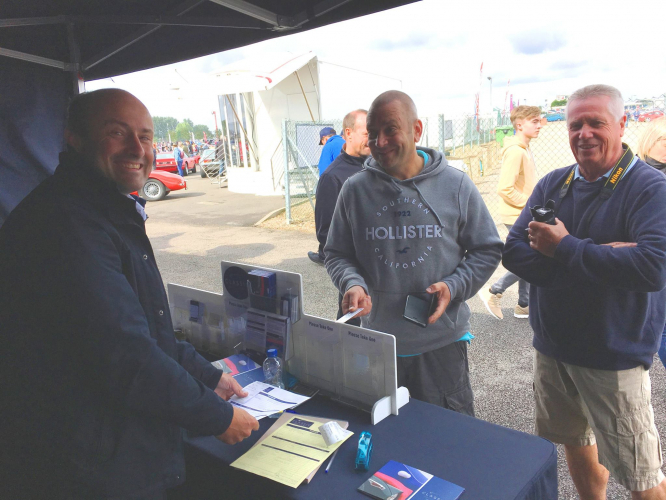 Thank you to all of our customers for visiting us at Silverstone Classic. 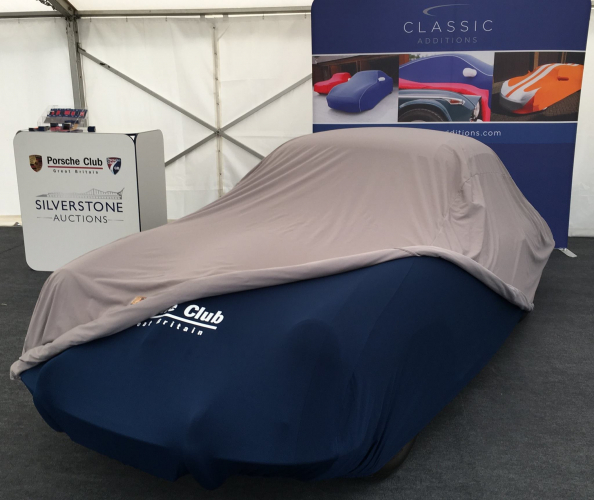 Show season is really kicking off, with another great weekend at Silverstone Classic. This year’s show was as busy as ever, not just for us but for the entire show too; despite the dreary weather. 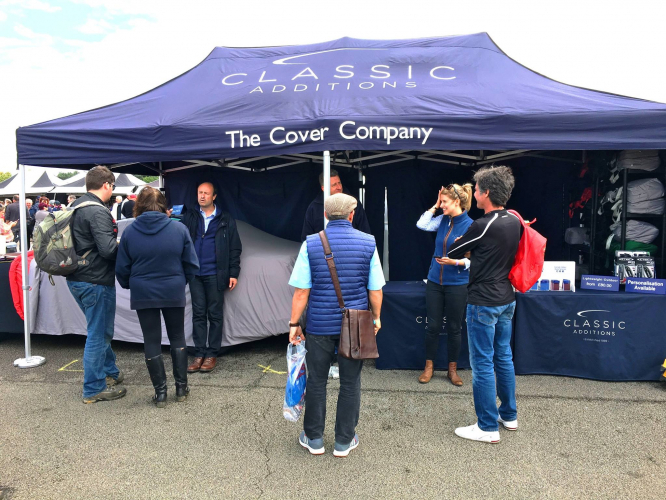 To understand the sheer scale of the show, more than 100,000 people turned up, over 10,000 privately owned classic cars were on display on the infield areas and over 125 car clubs registered to be at the show, including the Porsche Club GB who had some of our covers on display. 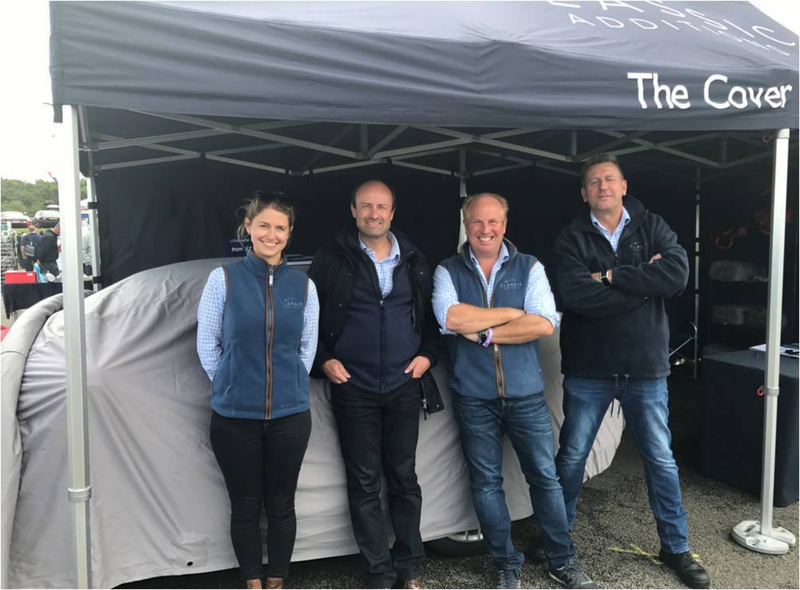 We had a flat out weekend at the show with Adrian and Alex on the stand all day on Friday and Saturday, with Maggy and Simon joining the team on Sunday for the final day of the show. 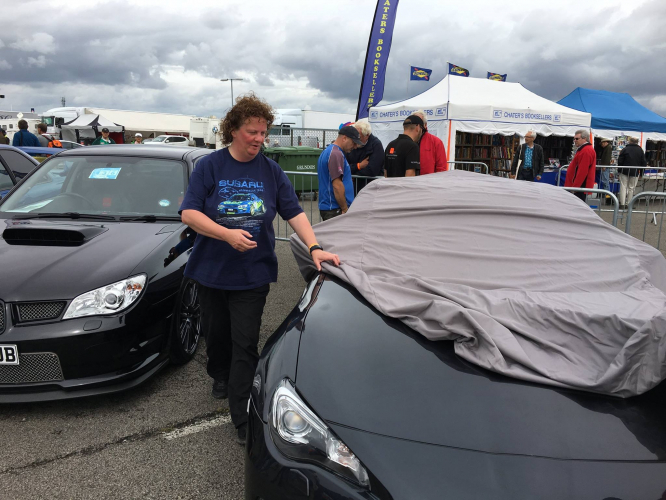 We were delighted to see some past customers (some having bought from us over 20 years ago) and also of course to meet new people and see how we can help them best protect their pride and joys! 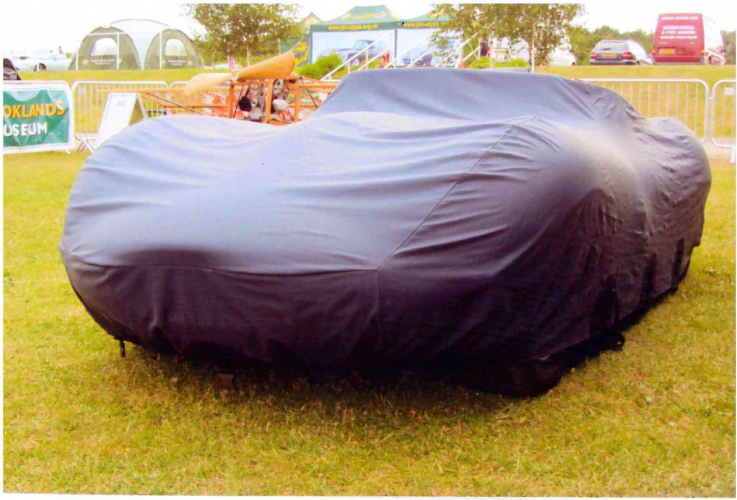 We love seeing happy customers returning with stories and photographs of covers we have previously made for them. 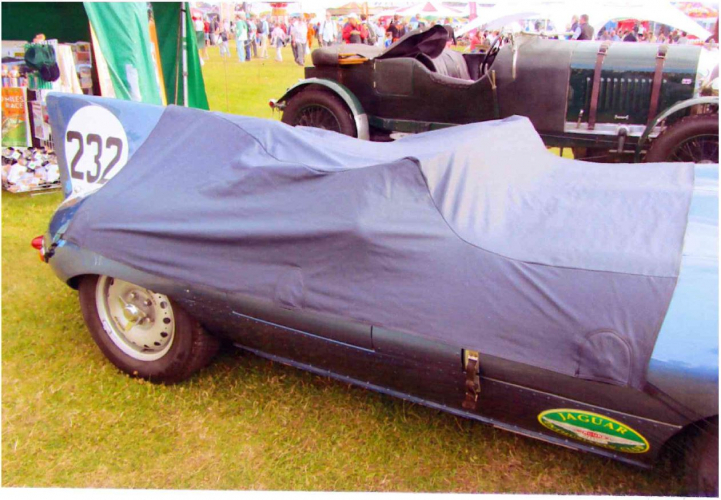 We were approached by one customer who kindly gave us some photos of two outdoor car covers we made for his Jaguar D Type. 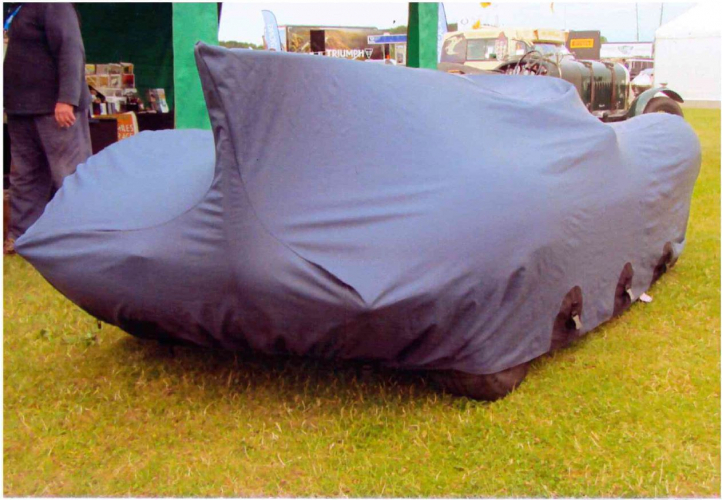 We made a pit lane half cover as well as a full waterproof outdoor car cover. The weekend saw some fabulous racing and car displays. In fact there were 22 races over the course of the weekend. 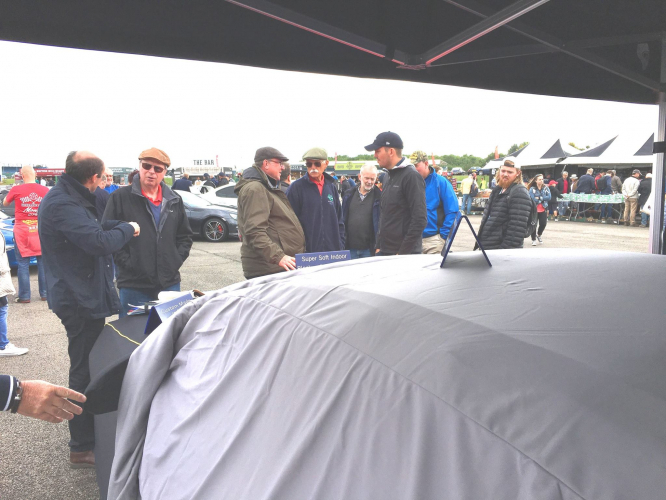 There were a variety of cars to be seen on the day, from vintage racers to modern supercars. The SuperCar Driver club organised for an amazing show of modern hypercars, which included two very rare Bugatti Veyrons. There were also over 115 new McLaren supercars on parade to celebrate Bruce McLaren’s 80th Birthday. 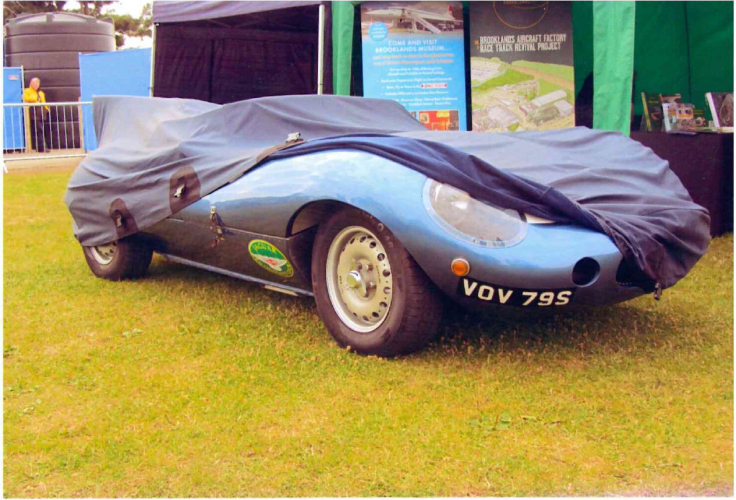 Take a look at the photographs below of the weekend as well as the lovely photographs of the D Type. Thank you all for making it a great success!